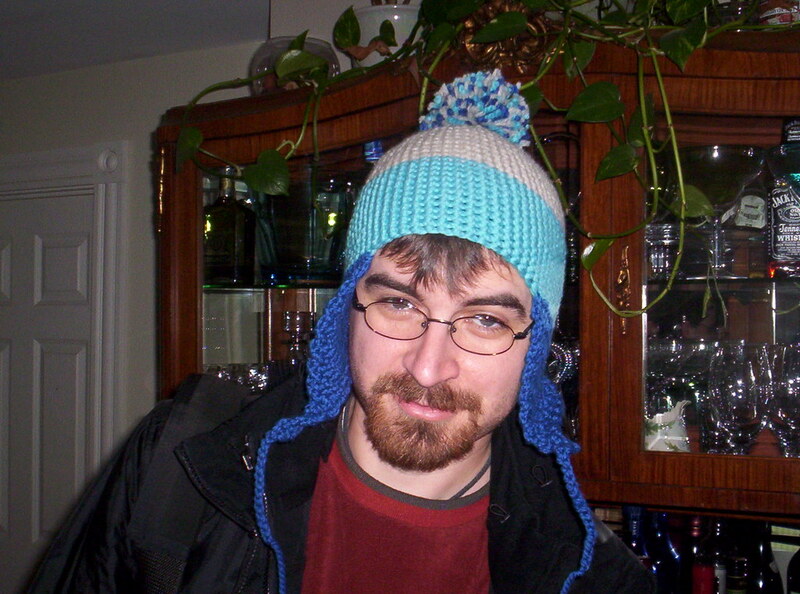 Remember when we took that picture of you wearing the blue Jayne Cobb "Cunning" Hat I made? I just got a note in Ravelry (the knitting/crochet website) asking for permission to use that photo on the web site for the pattern itself. Shall I say yes or no? Wow, that is funny. Um, sure, I guess. Can you post a link, so I can see what it looks like again? Oh, and such a wonderful expression. It seems as if the bottled of Jack Daniels in the background should really be empty. wandelrust and I were thinking the background and your expression gave the photo a sort of steampunk mad scientist look. I told the folks to go ahead and use the photo. Thanks! I guess we are famous now!